More housing for local families. Better solutions for homelessness. An innovation economy driven by homegrown talent. 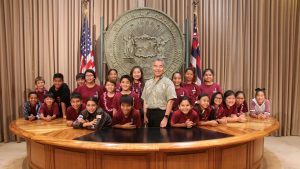 A chance for our children to live in a safe, sustainable Hawai‘i. Those are a few of the areas Governor Ige and his team are working on every day. This edition of Capitol Connection describes some of the ways we’re making progress on long-standing issues — with actions, not just words —and taking the lead on some of the most important challenges of our time. FACES OF THE FUTURE: Gov. Ige with Pearl City Highlands robotics team members, who have competed nationally. Q. What promises do you feel you’ve made and kept for the people of Hawai‘i? A. We’ve done our best to keep all our promises to make life in Hawai‘i better. Before I became governor, I had the sense people felt they weren’t getting good value as taxpayers. It seemed like more and more decisions were made on behalf of special interests instead of the public interest. Now we’re building more affordable housing and making progress on homelessness. We’re also seeing more public-private partnerships and collaboration. In education, we’re empowering schools and preparing students for the future. And we’re maintaining our visitor industry strength as well as creating higher-paying jobs in an innovation economy. Evidence shows that we’ve made progress in many of our high priority areas, while being smart about managing taxpayer dollars. Q. From your time in the Legislature, you were already looking for ways to spur an innovation economy. Why is this so important? A. It’s true in the ’90s I wrote the state laws dealing with venture capital and helped establish the Hawaii Strategic Development Corporation and the Hawaii Technology Development Corporation to create new jobs. 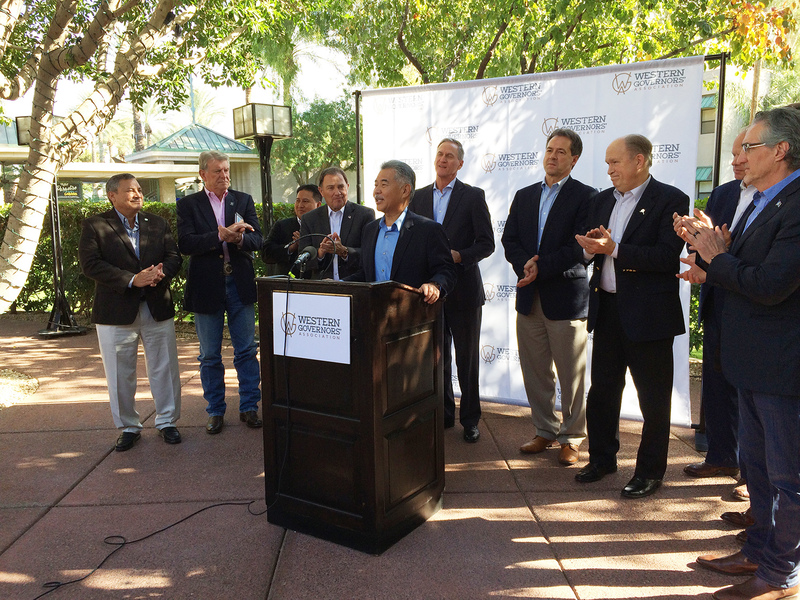 I also secured funds for the HI Growth Initiative, which created the foundation for a startup ecosystem. It’s graduated over 150 companies, many of which are still going strong. For Hawai‘i and state government to keep pace, we have to help retrain our current workforce and create jobs that attract the next generation — whether it’s in clean energy and agriculture, digital media and computer apps, or cutting-edge technology in healthcare. Q. What is the outlook for the 2018 legislative session from the administration side? A. Our financial management of the past three years has put us in a much better fiscal position now than when I first took office. The executive budget allows us to make progress in all the priority areas: education (such as Early College and Hawai‘i’s Promise), our Sustainable Hawai‘i plan, doubling food production, continuing to reduce homelessness and investing in our people. The capital improvements budget targets important areas such as education, transportation and housing for broad economic impact. It’s about making strategic investments in programs that make a difference now for our community while maintaining our reserves for the future. Gov. 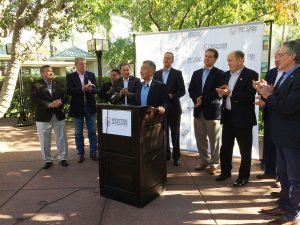 Ige receives applause as the 2018 vice chair of the Western Governors’ Association. A. Workforce is a big priority. It’s remarkable to me that many states have the same challenges as us. They have high-quality jobs that they can’t find employees for, so the discussion is how to connect classroom learning with the skills people need to be successful. Concerning the tax overhaul package from Congress and the Trump administration, my main concern is that they made significant changes so quickly, we’re not sure of the full impact to the states. We also have to be prepared for possible cuts to federal programs.